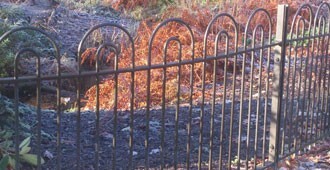 The availability of wrought iron railings has steadily declined since 1860 when mild steel became more widely available. In fact wrought iron is no longer produced on a commercial scale and most things that are made of iron in today’s world generally use reclaimed iron and involve the traditional forging skills of a blacksmith. The word ‘wrought’ essentially means “worked” and so very often metal railings are referred to as wrought iron railings, when in fact most railings are now made in steel. 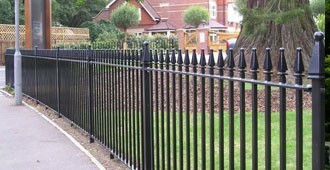 Steel has many benefits over wrought iron. Firstly mild steel is more commonly manufactured and is cheaper, and it is also easier to weld and forge as iron is not very ductile and has a tendency to become brittle and crack. It also has more bespoke design advantages, both in the ability to create decorative features such as curves, arches, motifs and logos, but also in the choice of paint finishes. 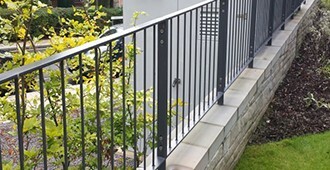 After Alpha Rail has fabricated the steel to meet the architects specification for the railings and gates required for each project, all Alpha Rail metalwork products are galvanized. This protects the steel from corrosion, and the brown stains that are often seen occurring when metal work products are exposed to the elements are avoided. 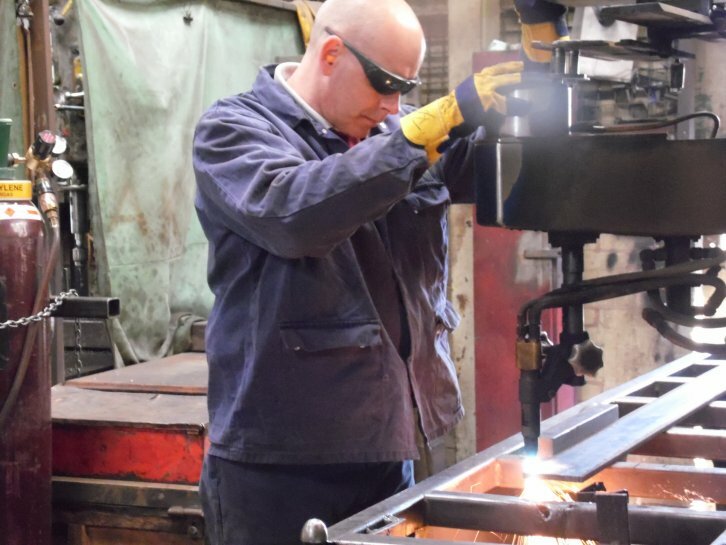 This also means we can offer a number of paint finishes on all the Alpha Rail range of railings, gates and other bespoke metal works products we supply. 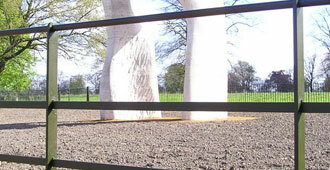 All Alpha Rail metalwork is manufactured using mild steel.